The Museum brings us together through the power of art. Do you believe art brings people together? We certainly do. 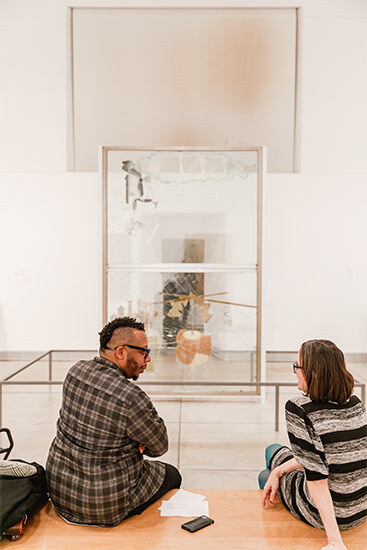 Our Community Engagement team works hard every day to build and maintain partnerships, offering programs and educational opportunities that connect diverse groups with the Museum. Our entire staff and over 100 community partners are dedicated to achieving this goal. But in order to broaden our cultural influence as a civic institution and connect with even more people, we need your help. Please give to the Annual Fund. Together, we can break down physical, emotional, and intellectual barriers so that everyone feels welcome at the Museum. Your gift will help us reach out to neighborhoods around the region to enhance and expand our mission of making art accessible to everyone. Please make a gift to the Annual Fund today to ensure we’re the best neighbor we can be. Your fully tax-deductible gift to the Annual Fund, in any amount, makes a difference. Thank you for your continued support. Donate online or by phone at 215-684-7840. For more information, please contact Membership by phone at 215-684-7840 or by e-mail at .